Imagine being in a situation where you get stuck with a clogged toilet. Isn’t that disgusting? No one wants to experience that, but it happens to all of us. Then again, this won’t be much of an issue if you know how to unclog toilets. A clogged toilet is a regular problem that almost all of us face at one time or another, yet most of us feel awkward to talk about it. Therefore, it is important to know a few tricks that can save you from the embarrassment. Read this article and find the best solutions! The first step when treating a clogged toilet is to stop the water that’s overflowing from the brim. To prevent the flood, you have to turn off the water supply from the knob, which is found at the back of the toilet. Before you start to unclog, you will need to empty the toilet bowl from excess water. If the water starts to drain out itself, don’t flush for the second time because it will make the problem worse. If the water appears to remain still, then you have to take the matter into your own hands by reducing the amount of water in the toilet using gloves and a spare cup or bowl. While you attempt to do this, keep your floor covered with an old rug or newspaper so that the surrounding area stays clean. Now that you have stopped the overflowing water, you can unclog the toilet using the following quick and easy techniques. Your toilet will clog if you use baby wipes or cotton wool instead of the toilet paper to wipe. If this is the case, then using a plunger is the only thing that can unclog your toilet. Use the plunger to push at the bottom of the toilet bowl. Pushing harshly will splash the dirty water over you, so be careful not to push too hard. Now, plunge up and down continuously without taking a gap in between. The final step is to pull the plunger up sharply. Hopefully, the water will start to drain. If the water remains still, repeat the above steps again. Your toilet will unclog eventually. If these steps did not work and your toilet is clogged, then you can try some other methods of unclogging toilets. After all, you won’t always have a plunger with you, so it’s good not to rely on it completely. Put the end of the snake into the toilet bowl and turn the handle in the opposite direction. The snake will make its way through the drain. Pay attention to the movement of the snake, if you notice that it has slowed down or stopped, push the handle a little bit and keep on turning it until the pipe is unblocked. Rotate the shaft counterclockwise to pull back the snake. Never push the pipe deep into the drain as this will complicate things. Keep on doing these steps until the pipe is thoroughly cleaned. Flush the toilet numerous times before putting away the snake. Pour a large amount of dish soap into your toilet bowl. Let the dish soap rest in the bowl for 20 minutes. Pour hot water into the bowl after 20 minutes, careful not to let the water overflow. After a few minutes, the clog will break and start to dissolve. Once the bowl is empty, and all the water is gone, flush the toilet. Twist the hanger to give it a curvy shape. Force the hanger into the toilet bowl, and keep shoving the wire until the path is cleared and your toilet is unclogged. 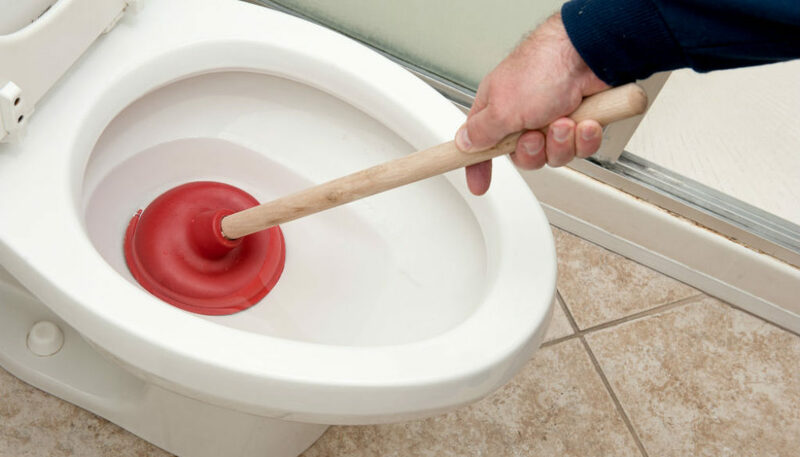 Using baking soda and vinegar to unclog a toilet is also one of the most effective and easiest solutions there is. 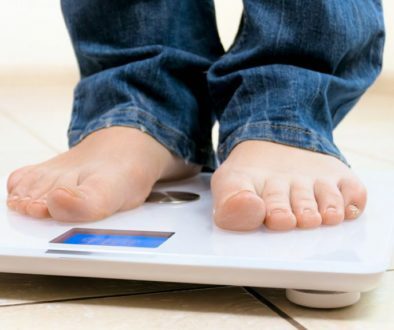 Although you may need to use measuring cups and bowls, the trick is certainly effective. Follow the steps mentioned below. Put 240mL of baking soda into the toilet bowl. If you think there is not enough water in the toilet, add 3.8L of sizzling water to the bowl. The heat helps in removing the clogs. After that, pour 470mL of vinegar. Doing this will produce bubbles. Wait for a few minutes to let the bubbles calm down, then pour the rest of the vinegar. Leave the solution for two hours or the entire night. If the bowl is empty, flush the toilet. If the bowl still has water, repeat the above process. Dry vacuum is one of the unique ways to unclog a toilet. Why? Follow the steps below and see for yourself. Wear gloves and put then end of your vacuum inside the toilet bowl. If the bowl is filled with water, then vacuum the water out. Wrap a towel or a piece of cloth around the tube of the vacuum. Turn your vacuum on and hold it tightly. The suction will unclog your toilet in no time. When you are done, make sure to clean your vacuum with a sanitizer. Avoid using the regular vacuum for unclogging since it can damage your appliance. If nothing works out for you, then a plumber can definitely help you out. Calling a plumber is the most reliable way to unclog a stubborn toilet. However, you have to remember that it can be quite costly as well. To sum it up, you can easily unclog your toilet if you know the right solutions. However, you have to be patient and repeat the steps where you find necessary. You can choose the one that suits you best, and if you still face the same problem, then you may contact a plumber to get rid of this issue.